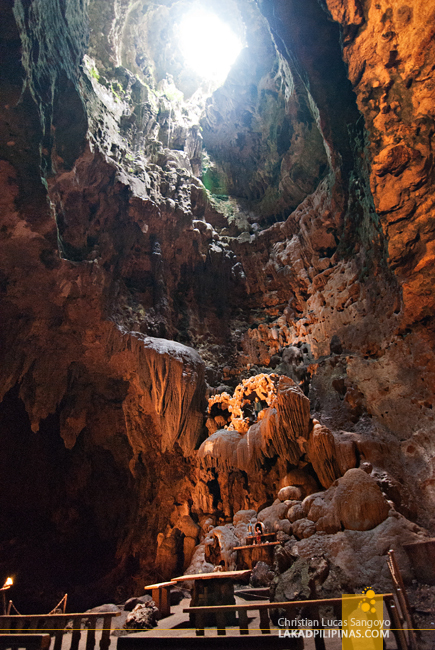 Before our discovery of pancit batil patong, the first thing that comes to my mind when one mentions Tuguegarao City is a cave—a huge one where light filters in from a natural crevice above, illuminating a row of pews facing a natural stone altar. 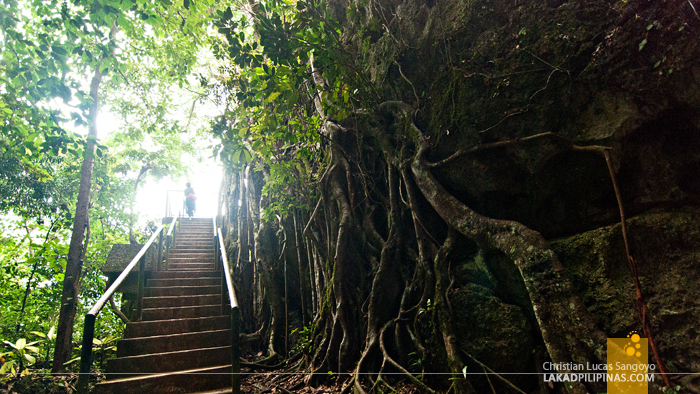 A cave, whose chambers are large enough to hold weddings in; one unlike any other in the Philippines. 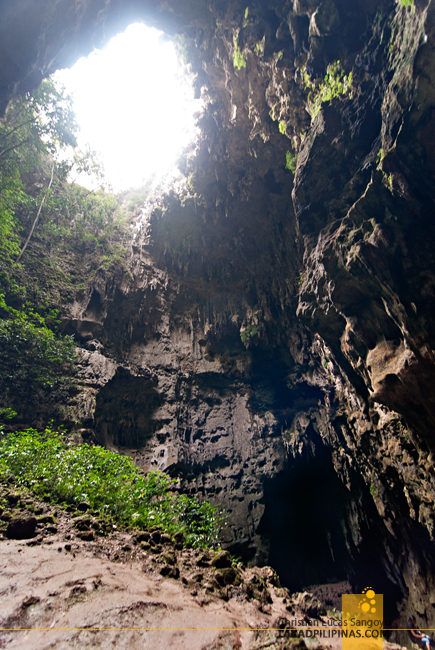 Callao Cave. But I was dead wrong on my assumptions. During my first visit to Tuguegarao City, I was finally able to step inside this northern gem. 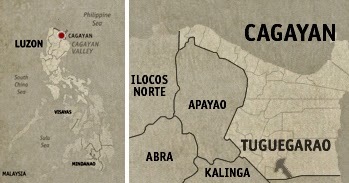 It’s not located in Tuguegarao City as I previously thought, but in the sleepy town of Peñablanca. 24 kilometers away from where I thought it was. 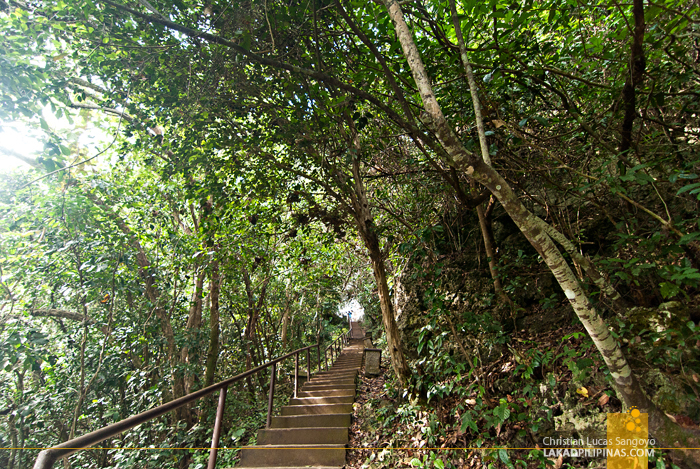 To get to Callao Cave, we were presented with two options. Hire a van, which was too expensive, or commute via tricycle, which would take too long as we would have to wait for it to get filled up. We did something in between—we hired a tricycle to take us to and from the cave. The usual price for such a trip is pegged at around PHP600.00 to PHP700.00, but since we were only two in the group, we were able to haggle it down to PHP400.00. 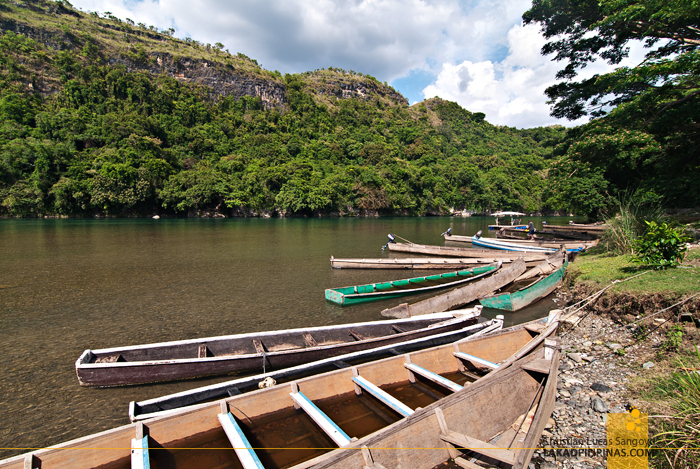 From the city center, it takes more than an hour to reach the Callao Cave Resort at the banks of Pinacanauan River, one of the major tributaries of the Cagayan River in the town of Peñablanca. 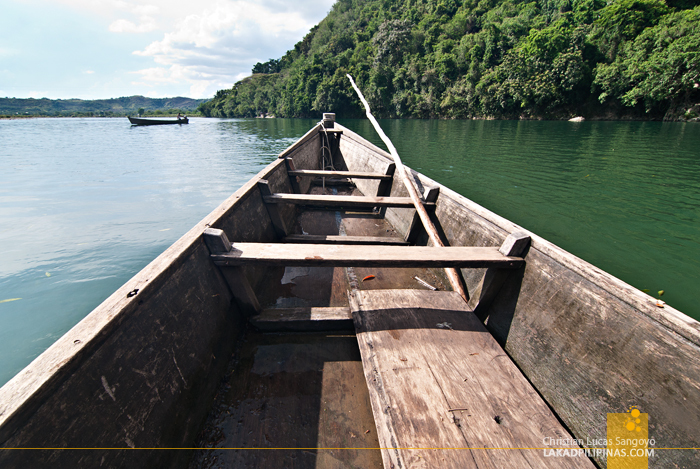 From there, a long wooden boat awaited us (PHP20.00, round trip). The ride through the serene waters of the river took about five minutes. We wanted it to last longer, it was quite romantic. Then it was an uphill battle to get to the mouth of Callao. A hundred and eighty four-stepped battle to be exact. Cagayan’s warm and humid weather was not helping, I was grunting and puffing my way through it all, my shirt drenched in sweat, my lungs about to burst. After what seemed like an eternity of stairs, a vertical limestone rock face came into view. We’ve finally reached Callao’s awning mouth. 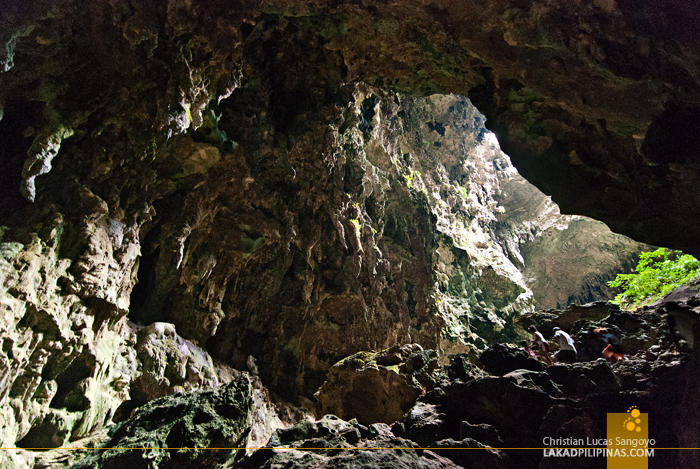 Callao Cave is only one of the 300 caves in the area, it is part of the Peñablanca Protected Landscape and Seascape; one of the earliest National Parks in the country and considered as the Cave Capital of the Philippines. It has a total of nine chambers, seven of which can be explored by visitors. Its remaining two chambers were closed off by an earthquake during the 80’s. It is so massive, it covers two barangay in town. 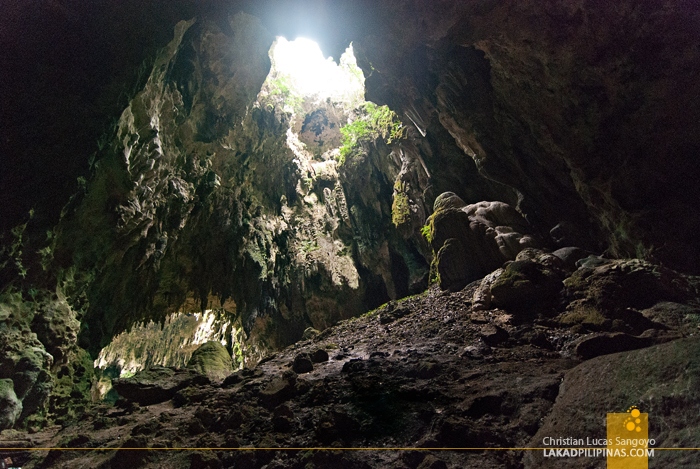 Located at the foothills of western Sierra Madre, Callao Cave’s seven chambers are gynormous; its largest one, soaring to a great height of 118 feet. 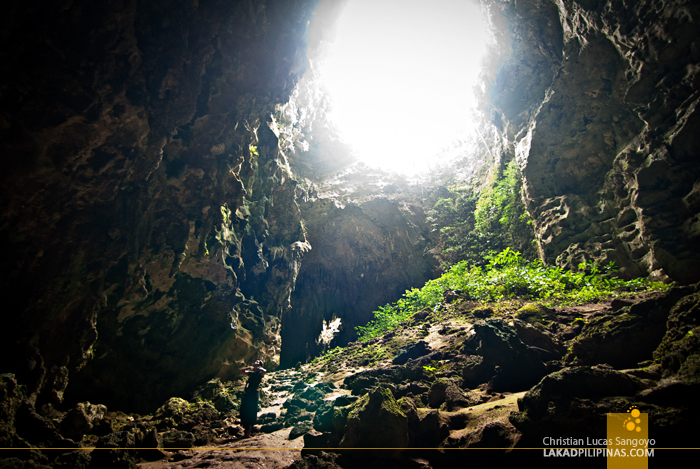 Of its seven open chambers, five of them have natural roof crevices which let in sunlight all the way to the cave floor. 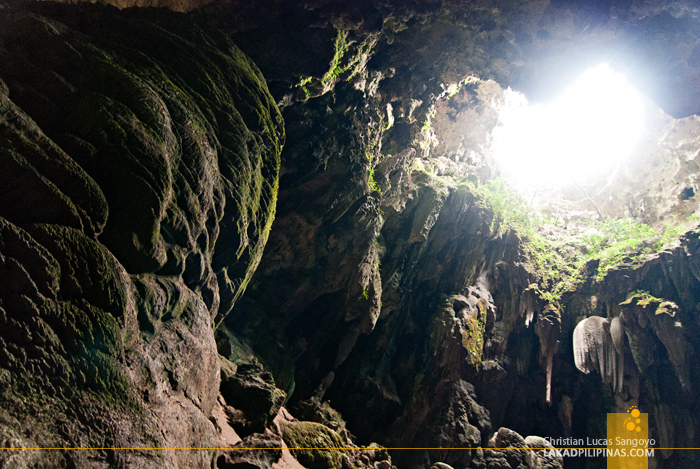 It’s actually not uncommon to see vegetation growing on some parts of the cave due to these natural skylights. 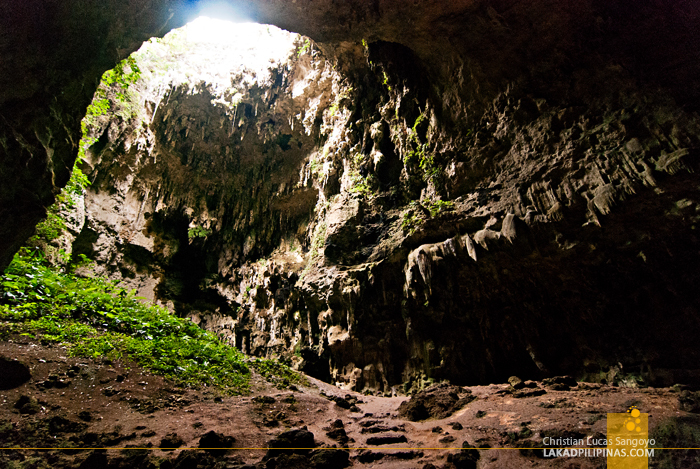 The main draw of Peñablanca’s Callao Cave is its first chamber. Here wooden pews are set up facing a natural rock formation resembling a church’s retablo. The area is naturally illuminated by an enormous opening above. Supplemented by warm lamps, the effect is quite magical. One can just imagine how a wedding would take place here. 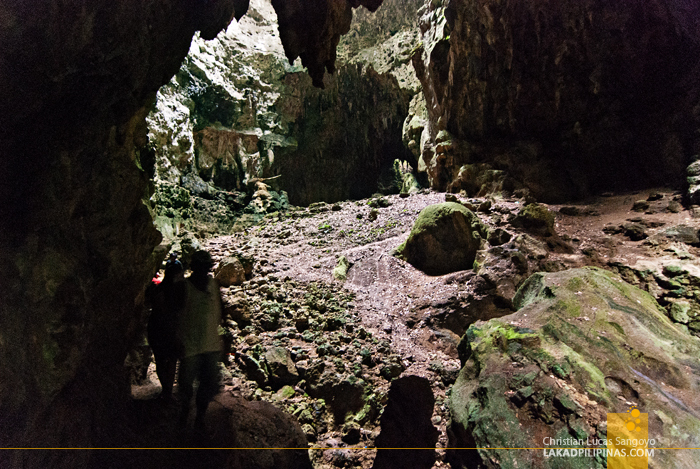 Unlike most caves I’ve been to, navigating Callao Cave is relatively easy. A walk in the park, if I may say so. There are established pathways and clay stairways throughout its seven chambers. Just make sure you don’t time your visit during the wet season as it can get muddy and very, very slippery real fast. Student guides are available right at the entrance of the park for a minimal fee of PHP20.00, but we opted out since my buddy has already been inside the cave before. In hindsight, it would’ve been better if we availed of their services, helping the community even in a small way. It would’ve been a chance to brush up on our history, as unbeknownst to us then, Callao holds the record for having the oldest known fossilized remains of a probable Homo Sapien in the country, dating to about 67,000 years old. 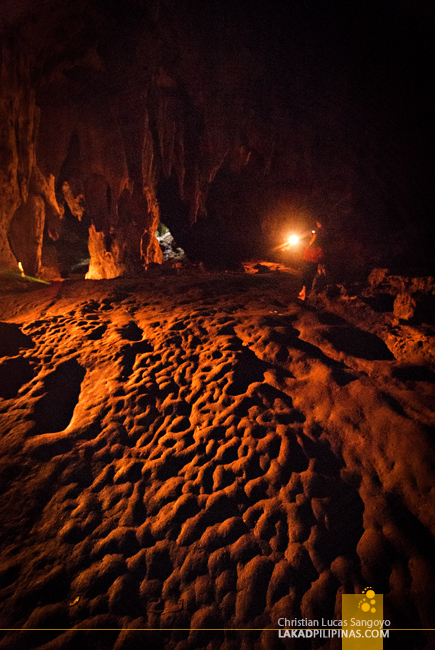 Dubbed as the Callao Man, it is 20,000 years older than Palawan’s more famous Tabon Man. 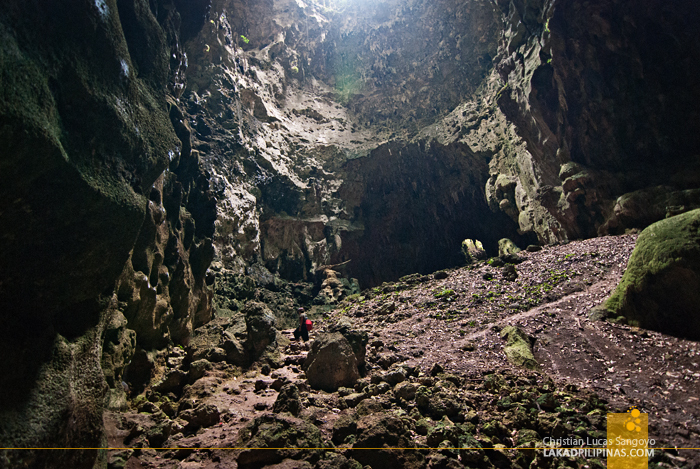 Even with its gargantuanly inhuman size, Callao Cave makes justice for its name. From the placid river running parallel to it, to its monastic-like echoing chambers, it is indeed callado or calm, as the Spaniards referred to it back in the day. A definite must-visit tourist destination when in the province of Cagayan. While you are busy travelling to your favorite places there are times when you simply have to work, Get instant remote access to your online private work space with hosted virtual desktops from CloudDesktopOnline.com. To know more about hosted SharePoint and other hosted software products visit www.Apps4Rent.com today ! Amazing pictures! I hope I can visit someday. There's so many great sites in the Philippines and very limited time. Hi! I'm trying to fix our Cagayan itinerary and I'm not sure whether to schedule this before or after Palaui. How many hours in total did it take (including the tricycle ride to Penablanca and back)? :) Hope to hear from you soon. Thanks for this super helpful article! Hello.. May contact details po ba kayo ng van na pwedeng sakyan papuntang Callao Cave? Thank you. This looks very similar cave Son Doong cave in my country, majestic and beautiful. 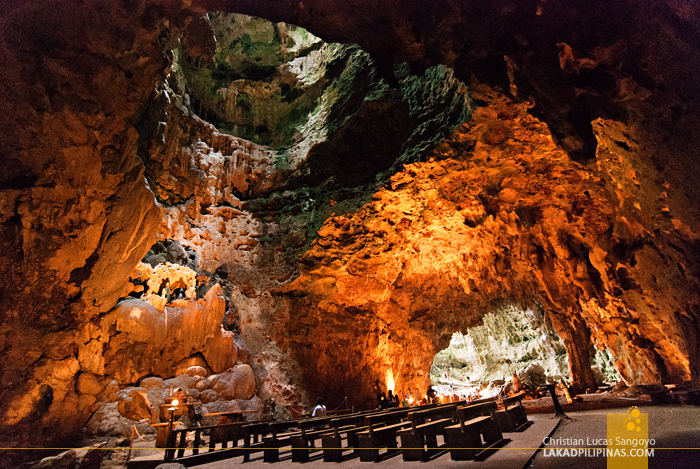 Oh wow, having a wedding ceremony inside Callao Cave must be really magical! HOW MUCH BUDGET PAG GALING KAPANG MANILA PAPUNTANG CALAO CAVE.